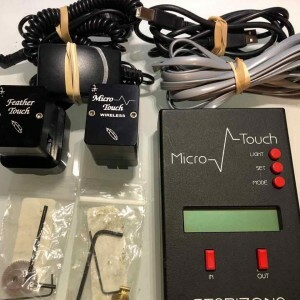 MicroTouch Focuser with 2 Feather Touch motors Sold! Auto focus all your different scopes. A true time saver and also gain focusing accuracy. A must have! for astrophotography. Your Facebook friends will appreciate your in-focus pictures : ). Your wife will appreciate the less time and frustration spent trying to focus. 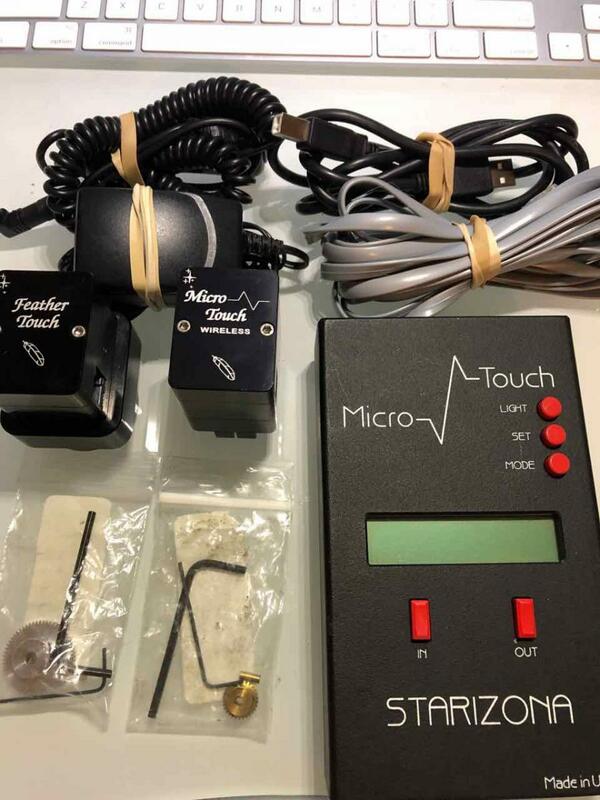 Micro Touch auto-focuser with 2 Starlight Instruments Feather Touch focusing motors. Each motor comes with allen wrenches and focuser gear. Hub/Hand Controls comes with USB cable, AC and DC adapters, motor cable.